Learn how to use Pomodoro Technique on Windows. Follow the next steps and start practising now! Write your Tasks you plan to do today. For example, you may decide to work on the 3rd one. So click on that, the pencil will move on the selected task. 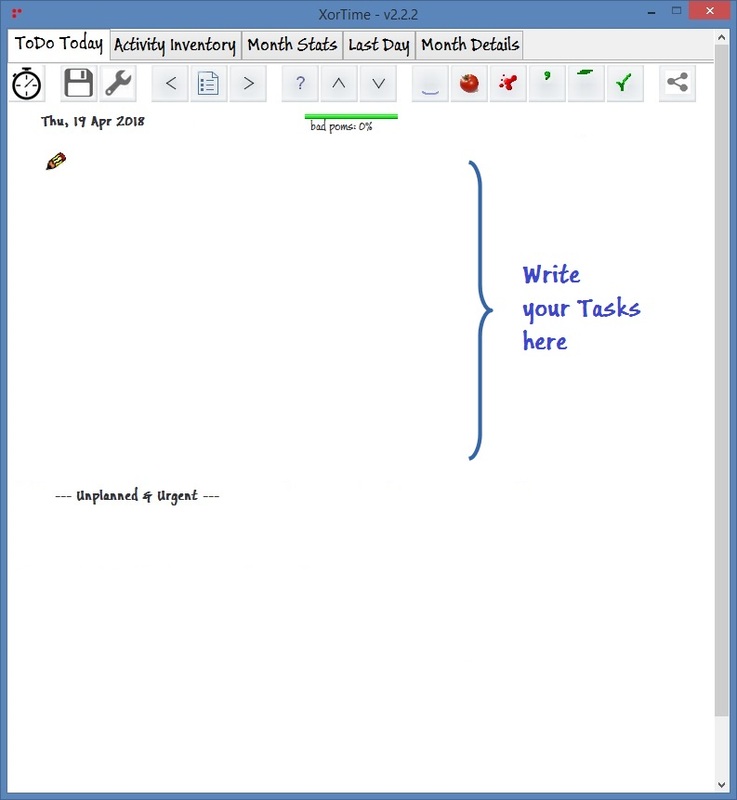 Click on the Timer button and begin working on the selected Task. The count-down will start. Work until no Minute is left. Engage not to interrupt yourself nor to switch to a different activity. After the 25 minutes have elapsed the Pomodoro Timer will notify you. It can ring or simply blink and prompt a message. Congratulations! You've spent an entire Pomodoro® on your Task! If your Task is also completed mark it as Done. You were interrupted? Track this! All scores will be collected at the right-hand side of the row. Stretch your legs, grab a coffee. This is an important aspect for your performance. And if your Task is not completed? you can set the Timer again and continue working on that. You may need more than 1 Pomodoro® to complete your Task. 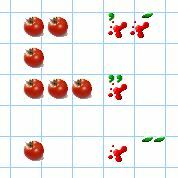 In the example below the 3rd task was completed with 1 single Pomodoro. What about unfinished Todo list items? How do I remove a score? Search on Wikipedia about Pomodoro Technique. More..